This is a picture my friend Pachi Calleja captured this morning after the running of the bulls in Pamplona. When the run finished a young man who entered the Arena with the bulls turned and….. 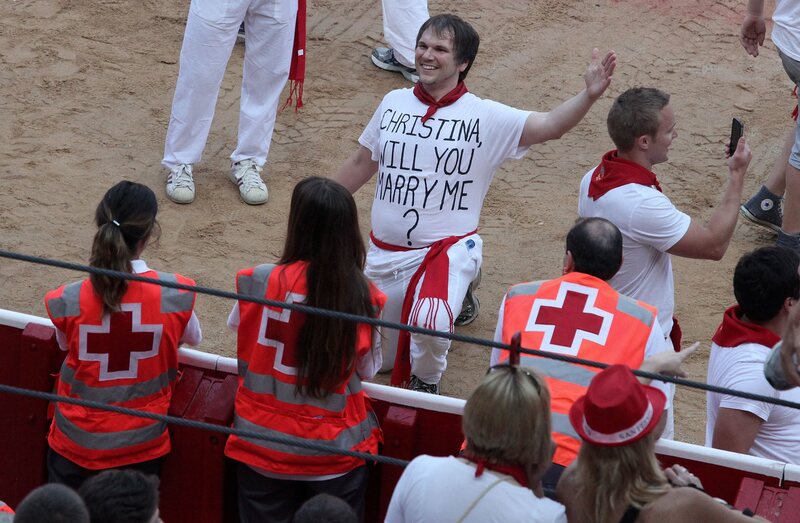 This only can happen in Pamplona. Monkey On My Back | Dancing in the rain!